We unload from the Sias University Van at the Xinzheng Airport with the help of my two handlers Sky Ding and Michael Yao. 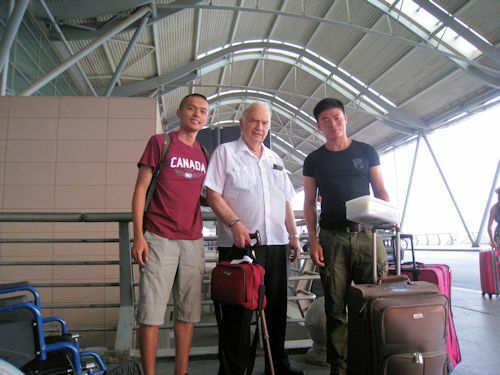 Michael enlisted the help of this additional young man on the right to help with the luggage and the wheelchair. I am also taking home an additional suitcase for one of Sias teachers. Two suitcases are allowed and I have only one.